College student adaptation is an important variable in determining retention and success at the university. This study investigates differences in the adjustment process between college students who self-identify as White, European Americans and those who self-identify as belonging to ethnocultural minority groups in the United States. 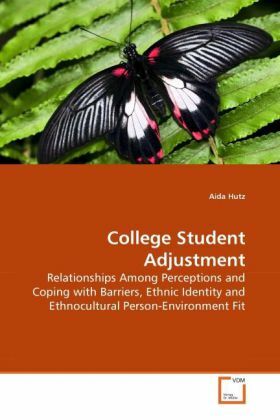 The researcher investigated the relationship between college adjustment and (a) perceptions and coping with career and education-related barriers, (b) ethnic identity development, and (c) ethnocultural person-environment (PE) fit. The results were somewhat surprising showing that once perceptions of ethnocultural PE fit were statistically equalized, students who belong to minority groups displayed higher levels of college adjustment than those who self-identify as White, European-Americans. Additionally, some qualitative variables that seemed predictive of adjustment were identified and discussed.